Efteling is the biggest theme park in the Netherlands and the third most visited one in Europe after Euro Disney (France) and Europapark (Germany). Without a doubt Efteling is huge and if you want to see everything and get on all rides, one day won’t be enough. That’s why my recommendation is to stay overnight in the Efteling or in the near-by village. Why even not centre your holidays around it? 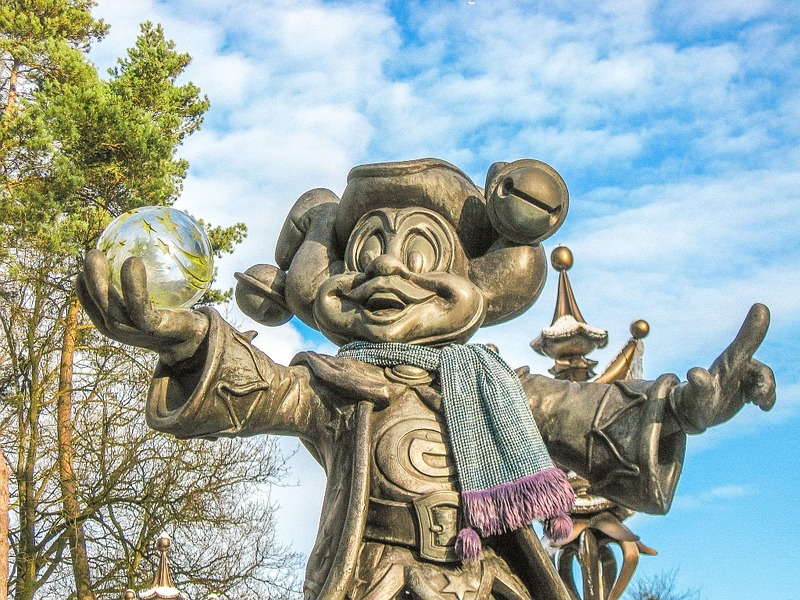 Here, in this complete guide to the hotels near Efteling you will find information about which hotels are at walking distance from the park, which are suited for longer stay, which are the budget options, etc., so that you can choose the best accommodation for your stay near Efteling. Read more: Check out my complete guide about the Efteling theme park. It contains useful information about the park, as well as my tips for visiting the park. As a local (I live only 10 km away from the park) I am sharing with you some insights that will help you with your visit. DISCLOSURE: This site contains affiliate links. If you make a purchase via one of those links, I will earn a commission at no extra cost for you. As Efteling is located very close to three villages, there is enough choice of places to stay in, even within a walking distance from the park. Staying in the near-by big cities is also an option. The park has a good connection with A59 high-way which makes it easy to reach from the big cities around. These accommodations are suited for one or two nights stay. Of course, you can always stay longer, but there’re some holiday villages in the neighbourhood which will be more appropriate if you decide to spend your summer holidays, for example, near Efteling. Here’s a selection of places to stay that are at a walking distance form the theme park. De Lakei Kaatsheuvel – you can’t get closer than that to the park. This 3-star family hotel is only 4 minutes away from the Efteling. The hotel has got also a restaurant. Check prices and availability for De Lakei here. Hotel De Kroon Kaatsheuvel – a simple 3-star hotel at 5 minutes from the Efteling. If you are on a budget this is a good option. The hotel is also children friendly. Check prices and availability for Hotel De Kroon here. GuestHouse Hotel Kaatsheuvel – a brand new 3-star hotel with industrial look at 8 minutes from the park. This hotel opened in the summer of 2018. It is family friendly and has a children playground. The hotel has a free parking. Check prices and availability for GuestHouse Hotel Kaatsheuvel here. Beck’s Bed and Breakfast – a luxurious and comfortable B&B with a beautiful garden. It takes 12 minutes on foot to the Efteling. Check prices and availability for Beck’s Bed and Breakfast here. NH Waalwijk – a 4-star hotel with free parking, a bit outside of the town. You can still walk to the Efteling, as it takes 30 minutes, or you can take the bus. The nearest bus stop is at 10 minutes. Bus lines 136, 300 and 301 stop at the Efteling. Check prices and availability for NH Waalwijk here. B&B Het Wolfseind – an absolutely charming B&B located in an characteristic old Dutch house with a thatched roof. The family rooms feature super cool cupboard bunk beds. If you don’t mind the walk, it’s about 35 minutes to the Efteling. If you don’t feel like walking, there’s a bus stop, just in front of the B&B. Bus lines 136, 300 and 301 stop at the Efteling. Check prices and availability for B&B Het Wolfseind here. If you want to combine a city trip in the Netherlands with a visit to the Efteling, there’re plenty of accommodations to choose from. Efteling is easy to reach even from Amsterdam, Antwerp and Brussels, but why not discover the local beauty of the North Brabant region in the Netherlands, and stay at places like Den Bosch, Tilburg or Breda. Read more: How to get to the Efteling – by car, public transport or even by FlixBus. Here’re my picks for the best accommodations in the cities close to Efteling. I can’t hide that Den Bosch (‘s-Hertogenbosch) is my favourite place in the Netherlands. A city trip to Den Bosch would be a great option. The city has rich history, amazing network of canals that go under the houses, beautiful cathedral, great museums and a laid-back vibe. Read more: If you are staying in Den Bosch, read here my complete guide about the city. If you are interested into museums, read here which are the best museums in Den Bosch. The Duke Boutique Hotel – an amazing designer hotel in the heart of the city with a fitness centre. Check prices and availability for the Duke Boutique Hotel here. CubaCasa – a luxurious and very stylish bed and breakfast in a beautiful canal-type house on the Dommel River. This is my personal choice as the location is just great. Check prices and availability for CubaCasa here. Little Duke Hotel – a simple 3-star hotel in the city centre with automated check-in and check-out. Some of the rooms have a balcony. Check prices and availability for Little Duke Hotel here. Breda is a beautiful historical city with nice parks, restaurants, a beautiful church, a fairytale castle with picturesque gardens and a casino where you can try your luck. You may not leave the casino richer than you were before, but it’s a nice way to spend an evening there with a group of friends. Hotel Nassau Breda, Autograph Collection – a luxury 4-star hotel in an amazing building with high-end restaurant in a former monastery. Oh, and there’s a fitness centre as well in the hotel. Not to mention its perfect location – at the city centre. Check prices and availability for Hotel Nassau Breda, Autograph Collection here. Boutique Nouveau Van Ham – a lovely family hotel in the city centre, which has three types of rooms – budget, standard and luxury. Check prices and availability for Boutique Nouveau Van Ham here. Hotel Sutor – a simple 3-star hotel in the historic city centre of Breda. Check prices and availability for Hotel Sutor here. Tilburg is very close to the Efteling and has a direct bus connection to the park. Although it’s not a touristy place, it’s a lovely city with great shopping opportunities. The city is also a perfect choice for food lovers as it has some good restaurants and cafés. As it’s not a real tourist destination, there isn’t much offering of accommodation in the city itself, although in the surroundings there are a lot of B&B’s and a few chain hotels. Mercure Hotel Tilburg Centrum – a modern 4-star hotel with an indoor swimming pool and a spa centre located in the centre of the city. Check prices and availability for Mercure Hotel Tilburg Centrum here. City Hotel Tilburg – a 3-star unpretentious hotel located in the centre of Tilburg. Check prices and availability for City Hotel Tilburg here. Herberg Het Wapen van Tilburg – a guest house close to the train & bus stations. It has double and family rooms with shared bathrooms. Check prices and availability for Herberg Het Wapen van Tilburg here. Efteling is bordering two nature parks – the Dunes of Loon and Drunen National Park and Huis ter Heide nature park, which is great if you want to spend your holidays in such a beautiful nature setting. The theme park can be a one-day activity during your summer holiday, spring break or autumn break. There are quite a lot holiday villages and parks near Efteling, as well as holiday homes to choose from. For those who love camping, there are plenty of camp sites as well. Then why not go for your holidays to Efteling? Holiday villages are perfect solution for families with kids as there is a lot of entertainment on site. Oostappen Vakantiepark Droomgaard – this holiday park is only 2 km away from Efteling. You can even walk to the park. There are indoor swimming pool and outdoor water park. Kids won’t get bored, as there’s onsite entertainment. Pets are welcome in the park. Check prices and availability for Oostappen Vakantiepark Droomgaard here. Holiday park Duinhoeve – a holiday park only 10 km away from Efteling. There are a swimming pool, a playground and a sports ground. Check prices and availability for Holiday park Duinhoeve here. TopParken – Résidence de Leuvert – located at 25 km from the Efteling, this holiday park is kids friendly. Pets are also welcome in the park and there’s a beautiful lake. Check prices and availability for TopParken – Résidence de Leuvert here. Do you want to stay in a castle or in a cabin in the woods? Check out here my selection of holiday homes near Efteling. Het Witte Kasteel – do you want to stay in a castle? This is your chance. The White Castle is located only 6 km from Efteling. It has 2 bedrooms and sleeps 4 people. Check prices and availability for Het Witte Kasteel here. The Old Silo House – a lovely house full of character with a beautiful garden, only 6 km from Efteling. It has one bedroom with 2 double beds and a living room with 2 sofa beds. Check prices and availability for The Old Silo House here. De Biekorf – this holiday home is in the middle of the forest in the National Park Dunes of Loon and Drunen and only 10 km from Efteling. It’s a simple house in a great setting, perfect for those who want to escape the big cities and are looking for peace and nature. Check prices and availability for De Biekorf here. Check prices and availability of the Efteling Hotel here. Bosrijk – a holiday village at the edge of the park. Great setting in the forest. It’s perfect for both a short and a long stay. It offers self-catering holiday homes, appartments and group accommodations for up to 24 persons. Oh, and there’s also an indoor swimming pool. Check prices and availability of Bosrijk Holiday Village here. Loonsche Land – another holiday village celebrating the National Park Dunes of Loon and Drunen, as the holiday homes are set and in the dunes. There’s also a hotel in the park. The theme of the village is getting close to nature. Check prices and availability of Loonsche Land here. Not yet ready to book your stay at the Efteling? Pin it for later! Have you seen another hotel in the neighbourhood and you are not sure if it’s at a walking distance from the Efteling? Ask me in the comments! Or perhaps you would like to know some extra details about the hotels featured in this complete guide. Let me know in the comments and I will help you.